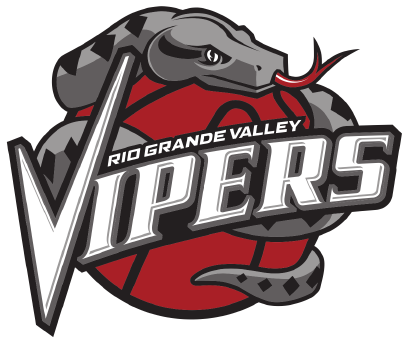 HIDALGO — For years, the RGV Vipers have been known for their offensive arsenal. They are on pace to lead the G League in scoring once again. Saturday’s game didn’t do anything to hurt those chances. The Vipers scored a franchise-record 50 points in the second quarter and ended up just four points from breaking their all-time single-game scoring record in a 157-134 win over the Memphis Hustle at State Farm Arena. RGV won its second straight game and improved to 17-9 on the season. Demetrius Jackson led all scorers with 26 points in his return after missing two-plus weeks while being called up with the Houston Rockets. “He had a big game against Texas before he left for Houston,” Vipers coach Matt Brase said. “He was great again tonight with the basketball, and his rhythm wasn’t off at all. Seven Vipers scored in double digits. Following Jackson was Tony Wroten and Zhou Qi with 21 each, Isaiah Hartenstein with 20, R.J. Hunter and Monte Morris with 19 and Tyler Lydon with 13. The franchise scoring record is 160 points, set on Jan. 18, 2015, against Reno. The inside combination of 7-foot-1 Zhou, 7-foot Hartenstein and 6-foot-10 Lydon dominated the boards, especially in the first half. The trio combined for 31 rebounds. Memphis had 42 as a team. The game was played at the fast and furious pace the Vipers are known for. RGV shot 56 percent from the floor and connected on 21 of 40 3-pointers (53.5 percent). The Vipers tallied 35 assists in the game, led by Morris with 13. Memphis opened the third quarter with a flurry, scoring 11 straight points within the quarter’s first 90 seconds to close to within 15, 83-68. Following a timeout, RGV countered with a 9-2 run, highlighted by 3-pointers from Hunter and Julien Lewis, plus a 3-point play from Monte Morris to push the lead past the 20-point mark at 92-70. A little more than halfway through the third quarter, Memphis again closed the gap, this time to 11 at 107-96. Hunter responded with five straight points on a 3-pointer and a layup, and Jackson scored on a step-back baseline 3-pointer and a driving basket in the lane to push the lead to 21, 117-96. Memphis never got closer than 18 the rest of the way. Jordan Crawford led Memphis with 24 points and seven assists.